Posted on August 15, 2012, in Channeling, Deliberate Creating, Empowerment, Healing, Inspiration, Joyful Living, Law of Attraction, Love, Self Development, Spirit, Spirituality, Well being, Wholeness and tagged Channeling, Empowerment, Happiness, Joy, Law of Attraction, Love, personal growth, personal reflection, Self acceptance, self awareness, self development, The Shower Channel. Bookmark the permalink. 4 Comments. 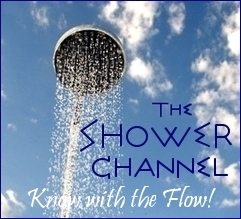 Sitting here after reading the latest Shower Channel entry, “Who Loves You Baby?” and thinking these ask/answer channelings could very well be made into a pre-meditation devotion-like book of their own…..i’m just sayin’ ! Guess it’s time for me to shine a flashlight on those things in the attic of my psyche, too. Instead of tossing them in the trash, I’ll see what a little elbow grease, a rag and some polish can do. Maybe they aren’t so bad after all? What is it they say, Chris . . . one’s man’s trash is another man’s treausure? Oh, I’ve got some treasures for sure then! Yard sale!